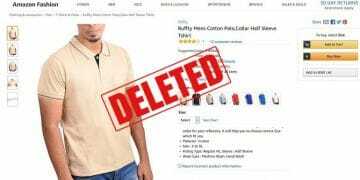 This is a step by step guide to adding a new product on Amazon India marketplace. 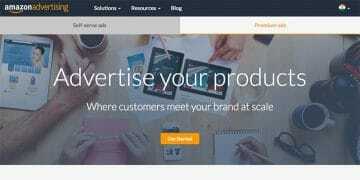 It covers all the basic information to list a new product. 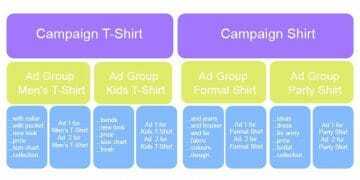 For better understanding, I have taken a “T-Shirt” as product example. Though an actual product detail may differ slightly the options will remain similar. So let us start listing the first product on Amazon India marketplace. We will use Add a Product option and not Add Products via Upload under the inventory tab because it is for creating bulk listings with the help of an excel spreadsheet. On the Add a product page. 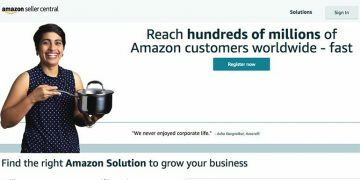 There are 2 choices for adding a product on Amazon. Type product name, select an appropriate product from the search result list that matches your own product. Click Sell Your’s button. What happens is when you select an already listed product all the item details will auto-fill in the product detail page. Only the selling price will be empty. 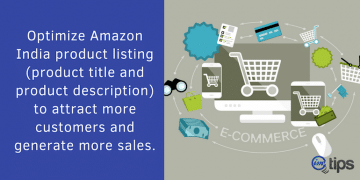 This option is widely used by sellers who want to sell products that are already available on Amazon. It is helpful only when you know the exact name, color, size, model number etc. of the product that you wish to sell. 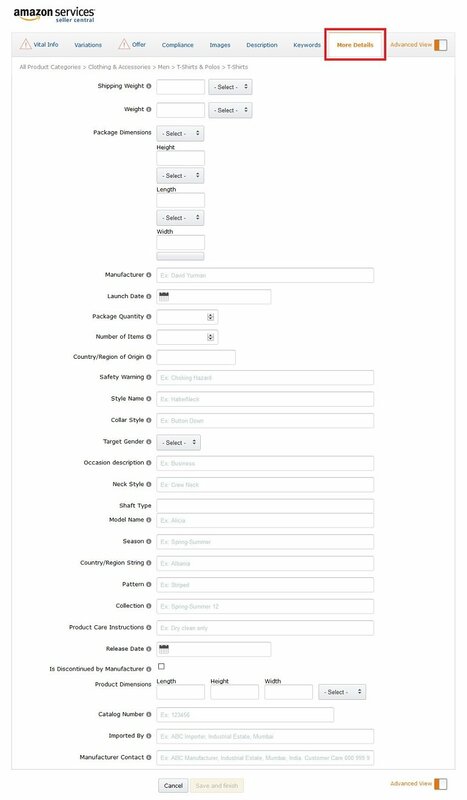 Create a New Product Listing will give a blank product detail page wherein you need to manually fill all product details. We will use this option. Select the product category specifically to your product type. Toggle horizontally with arrow buttons to edit the category. As shown in the image below your selected category will be displayed on top. Here we have taken the T-shirt as an example so our main category will be Clothing & Accessories whereas subcategories will be Men, T-Shirts & Polos. Now you are on the product detail page. You will see options like Vital Info, Variations, Offer and Images. Click on Advanced View on the right and you will have Compliance, Description, Keywords, and More Details tab activated. Let’s see them one by one. Almost all the details are mandatory in the vital info tab. 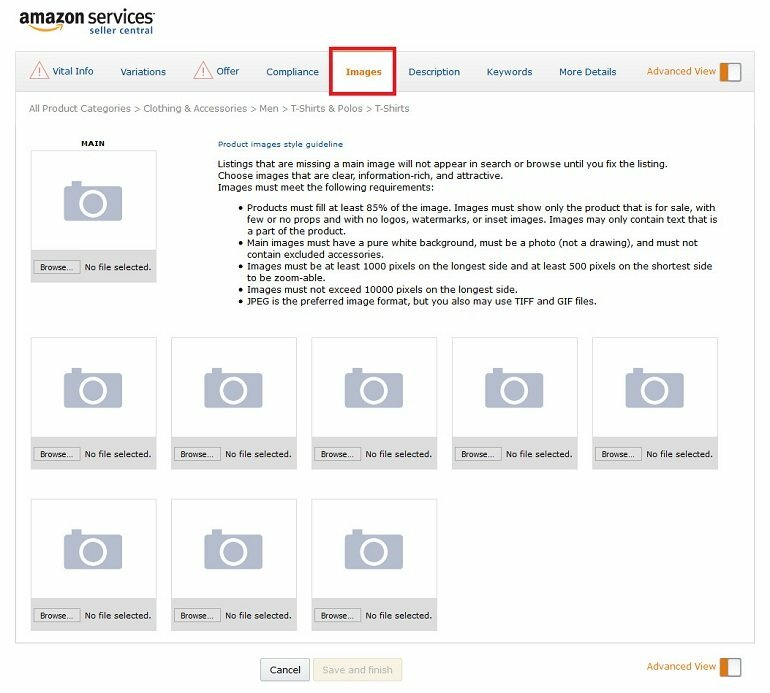 To help new sellers fill in the details properly amazon provides a guide in all the space written as Ex: 40, Ex: Alpaca, Ex: Women etc. Manufacturer Part Number: It is similar to the model number. Products may have a different model number and part number both. See your product specification or manual to find the part/model number. If you don’t have a model number then assign a sequence of alphanumeric numbers on your own to the products eg. ABC-1, ABC-2. Product ID: Click Select and choose an appropriate option from the drop-down list. 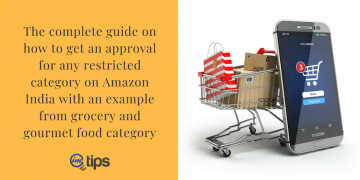 The list comprises of GTIN – Global Trade Item Number, EAN – European Article Number, GCID – Number is given by Amazon India to identify your product brand, UPC – Universal Product Code, ASIN – Amazon Standard Identification Number). If you don’t have any of the above you will have to go for GTIN exemption. 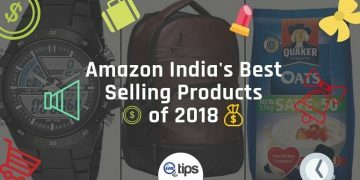 Contact Amazon India seller support. Item Title: Short title of the product. Use a combo of name, size, color, brand, material etc. to form a product title. Brand Name: Write the brand name of a product like Nike, Reebok, Gucci, Action Shoes, Polo etc. Outer Material Type: What is the material (fabric) type of t-shirt eg. cotton, tericotton, woolen, polyester etc. Fitting Type: Describe the t-shirt. Is it slim fit or loose? Colour: State the t-shirt color. Red, white, black, yellow etc. Colour Map: Values in this field will be the same as above. Adult Flag: This option is for sellers selling adult products. Leave it blank. Department: Values will be Men, Women, Kids, Teenager etc. Sleeve Type: Half-sleeves, Full-sleeves, sleeveless etc. Size Map: Also known as size chart and must for a seller selling readymade garments. Write the available size of t-shirt like 38, 42, 48 etc. Material Type: Values will be cotton, tericotton, woolen, polyester etc. Variation Theme: This field is used to define color, material size, item packed quantity, size, actual item packed quantity etc. Variation theme varies from product to product. Some category might come with this option as disabled. Seller SKU: Stock keeping unit is SKU. Alphanumeric values can be written here eg. TSHS001 where TSHS stands for T-Shirt Half Sleeves. SKU can be the product name, type, color or size abbreviations. Condition: Select item condition as New (default). Your Price: A tentative price at which you wish to list your product. It can be less than or equal to the MRP. When you keep your price less than MRP the Amazon product page shows how much you save on this product. It is shown as “You Save Rs.563 (56%)” in red color to attract buyers attention. Condition Note: Leave it blank. Maximum Retail Price: MRP of the item. Sale Price: Use this feature only when you want to offer your product on sale. 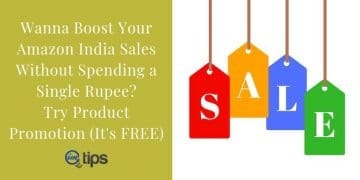 This price will overrun the MRP and Your Price values on listing page. If you don’t want to offer items on sale leave the space blank and proceed. Sale Start Date: Select a date when you want to begin an online sale. Sale End Date: Select a date when you want to end your online sale. Quantity: Write an initial quantity that you plan to sell for a single product. The values can be 1, 10 or 100. Otherwise known as stock in the seller panel and this value will show how many units are still left in stock. When your quantity goes below 5 Amazon will display a message like “Only 4 left in stock” on the item page. Handling Time: Here possible values will be 1 or 2 for a T-shirt. Handling time is the number of days you need to pack and ship the product after you receive an order. Restock Date: You can leave this blank and proceed. Product Tax Code: Write the product tax code supplied by Amazon India. Possible values can be 5%, 8%, 12% etc. The product tax code will depend upon the type of product and category. If you don’t have any idea about the same leave it as blank and proceed. Max Order Quantity: This is order quantity that you want the buyer shall order. The values can be 1, 5, 10, etc. The value here defines the total number of units in a single order. A buyer may order 1 unit or go for 10 to save shipping cost. Orders with 10 or more units will be treated as a bulk order. While selling on Amazon you will get 2 kinds of buyer viz 1) Individual buyer 2) Business buyer/Bulk buyer. The type 2 buyers purchase in large quantity for reselling purpose. An order from the bulk buyer will be labeled as “Business Buyer“. Useful Tip: In the shipping template settings you will need to set shipping cost “per item” instead of “per order”. 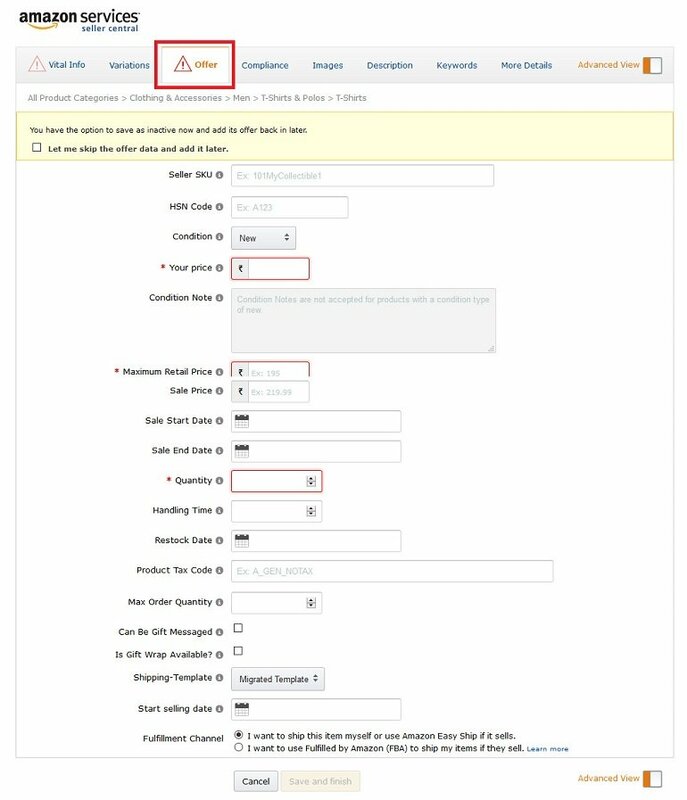 Default settings in the shipping template are “per order” which means whatever the shipping cost buyer is paying will be on the whole order whether it consists of 1 unit or 10 unit. 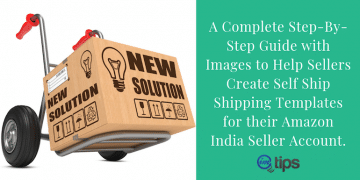 In this scenario, it is a seller who will have to bear the extra cost of shipping additional units. Can Be Gifted Message: Leave blank and proceed. Is Gift Wrap Available: Leave blank and proceed. When you select gift wrap option it is displayed to the buyer on listing page making him understand that this item will be gift wrapped and delivered on the address written in invoice copy. Shipping Template: the Migrated template will be your default template in the drop down box unless you create your own shipping templates in the shipping settings option. Useful Tip: Always go for custom created region wise shipping template. Delivery charges will differ state wise if you are using private logistic services. The best option is to use Indian Postal Services as a logistic service where delivery charges are low compared to private logistic companies. Start Selling Date: Write the current date or the date when your account was registered. Fulfillment Channel: Select the radio buttons as per your choice. 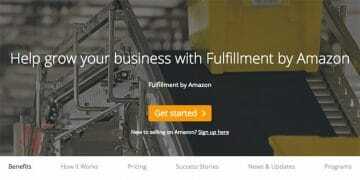 You can go for Amazon Easy Ship Service or Fulfil by Amazon Service (FBA). A seller can use his/her own logistics service if they don’t know the cost of using Amazon Easy ship or FBA. 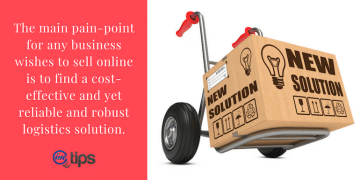 You can opt out completely from Easy ship and FBA both and go with Merchant Fulfilled Service. Merchant fulfilled service means a seller has to pick, pack and deliver the product on their own and can’t have an option for cash on delivery (COD) or payment on delivery (POD). 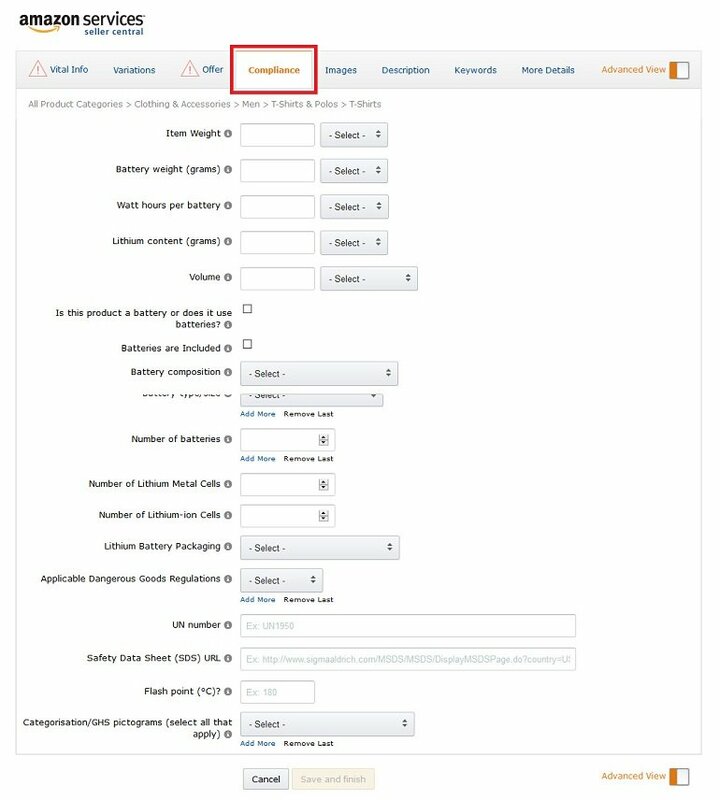 Useful Tip: You won’t see merchant fulfillment option in the fulfillment channel above. 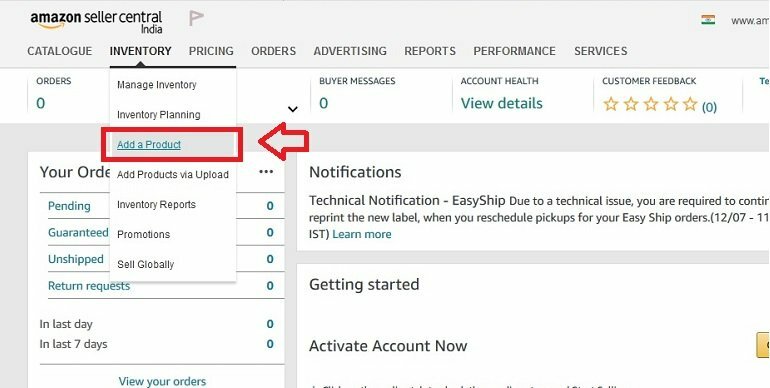 If you want to ship your products on your own then click settings option on seller panel and select shipping settings. Find Easy ship service option and select opt out. Now when you list new products you will see default seller fulfilled option instead of FBA or easy ship. This section is useful for sellers involved in selling electronics product or its parts eg. smartphones. If you are planning to sell electronic goods than keep the information of the compliance tab handy or else contact your manufacturer. 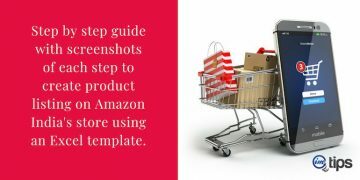 Upload quality product images here adhering to the Amazon image guidelines. Best practice is to upload an image of high resolution (2000 pixels) which help buyers to zoom in and have better picture clarity. Take help of professionals for HD image clarity. Product Description: Amazon gives you 2000 character limit to write as much as you can about your product not exceeding the set limit. Excellent product description includes the product name, size, color, model name, manufacturer, brand name and usage of the product. 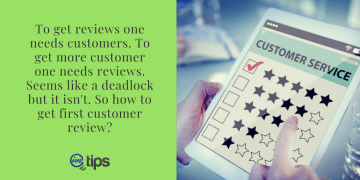 This space gives you the opportunity to attract buyers by writing a compelling product description that includes all the benefits and probable use of the product. 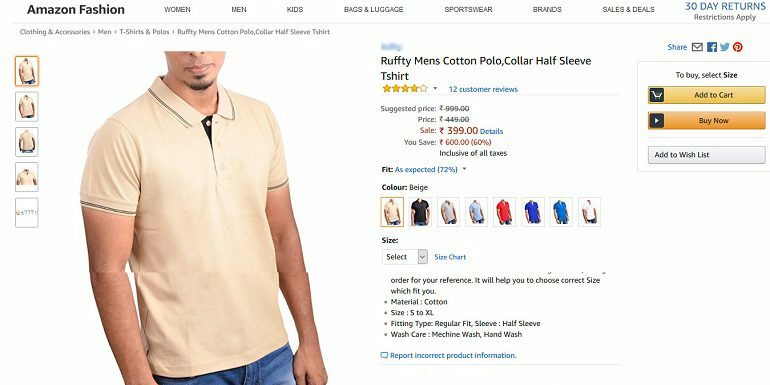 Key Product Features: Benefits of products otherwise called features are shown right on the face of product listings below the price section. A maximum of 5 bracket space is available where you can write the most important features of your product that will interest buyers to buy. Click add more for more space. Legal Disclaimer Description: Leave this field blank. this option is for sellers selling adult or restricted category products. Useful Tip: Write short sentences only comprising a maximum of 6 to 7 words. You can also write material type, color, size, shape etc in one single line and present the same as one of your product features. Search Terms: Here you get a maximum of five bracket space to add relevant search terms. Click add more option for the next space. For t-shirts, we can add half sleeves men’s t-shirt, men’s t-shirt with collar, men’s t-shirt XXL size, men’s v-neck half sleeves t-shirt, and men’s red t-shirt. 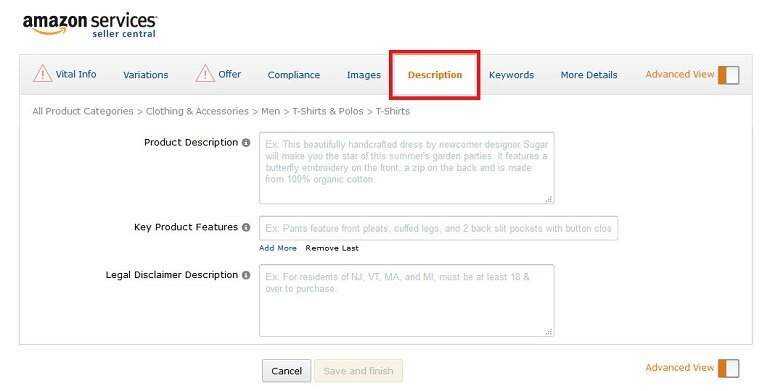 Search terms are the keywords or phrase written by buyers in the Amazon.in the search bar to find your products. Useful Tip: If you want to find out relevant search terms for your product, type product name or combination of product names in the search bar and see the suggestions. This shows what viewers write to search their products. Refer to the image below. Shipping Weight: Pack one of your product with packing materials and weigh it on the scale, this is your final shipping weight including the packing materials. Select the appropriate units from the drop-down box like pound, ounce, kilograms or grams. 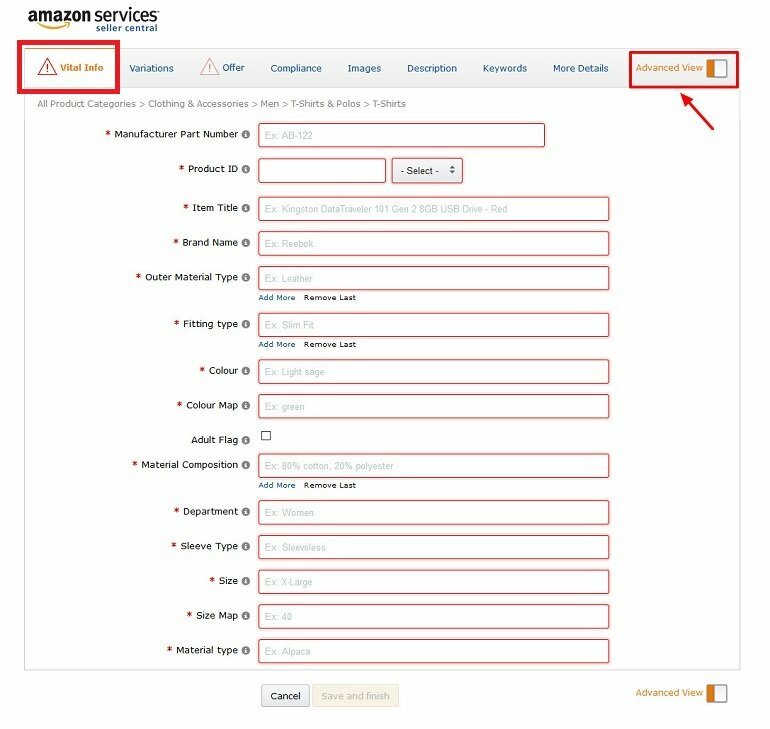 This option is worth only if you are using Amazon easy ship service otherwise it is just info for buyers. Weight: The values here defines the net weight of your product without packaging materials. Package Dimensions: Pack one of your product and measure the dimensions in Height x Length x Width values. Write them separately by selecting proper measuring unit from the drop-down box. Manufacturer: Write the manufacturer name if you have purchased for reselling. Write your brand name if you are manufacturing it. Launch Date: You can leave it blank or write current or account registration date. Package Quantity: Default will be 1. 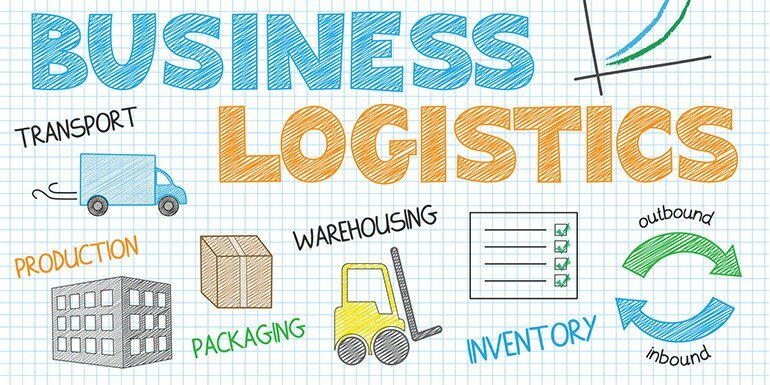 Sellers dealing in a product category where they need to supply a variety of accessories along with the main product will have to write exact packages in the whole shipment. Number of Items: Write a total number of items in the single package. The possible value will start from 1. Country/Region of Origin: Indian sellers buying items from India will have to write India. If items are imported from other countries write the country name. Safety Warning: Inform buyers about the safety precaution to take while using your products. Do not skip this section if you sell items that can probably harm buyers if not taken due care. Style Name: If your product (t-shirt) specifically has a custom style then write it here or else leave blank and proceed. You may not get this option in the different product category. Collar Style: Write round neck, v-neck, deep neck etc. as the collar style of the t-shirt. This is only for garment sellers. Options may differ in your category. Target Gender: Who is your potential buyer? They can be male, female, kids, senior citizens or a combination of these genders. Occasion Description: Suggest your buyers about a specific occasion when this garment can be worn. Best products to write occasion description is ethnic wear. Neck Style: T-shirt has 6 popular neck style like Crew Neck, V-Neck, Deep V-Neck, Scoop Neck, Deep Scoop Neck, and Bateau Neck. Write as per the product neck style. Leave blank if you don’t have any idea about your product neck style or if you sell a totally different product. Shaft Type: Leave blank and proceed. Model Name: If the item you are listing has a specific model name given by the manufacturer or designer than write them or else leave it blank. Season: This option may not be available for another product category. For garment sellers, possible values are the name of the season best to wear this t-shirt. Country/Region String: Write the same as “country/region of origin” or else leave it blank. Pattern: Write the cloth pattern type or the design pattern type of t-shirt. It can be plain, stripped polka dots etc. Collection: This field is for sellers dealing in clothing and fashion products. Possible options can be spring collection, winter collection, summer collection etc. if you are listing fashion garments of a famous designer you can write his /her name here eg. Neeta Lulla Collection, Ritu Beri Collection etc. Product Care Instructions: Write short product care instructions of 100 characters. Mention best points only. Release Date: If you have a product release date than write it here or else leave blank. Is Discontinued by Manufacturer: Leave blank and proceed. Product Dimensions: Write the physical dimensions of your products showing the Length, Height, and Width. This often helps the buyer to calculate the amount of space that will be utilized when he/she will start using the product. Garment products have a size chart instead of dimensions. 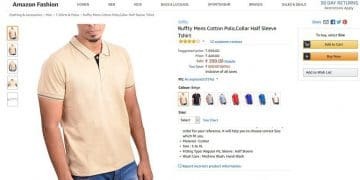 Catalog Number: This option is for garment sellers. The option may differ depending on product type. Values will be numerical eg. 1, 001, 0124 etc. Imported By: Write the importer name. If not leave it blank. Manufacturer Contact: Provide the contact details of the manufacturer or else write yours. Click Save and Finish to submit the listing. When you submit a product listing the Amazon team will verify all the details and therefore make it available for ordering. If the listing has errors it will show in red color in the product edit page where you will have to rectify all the errors and submit again. An error-free listing will be live within 15 minutes of submission. 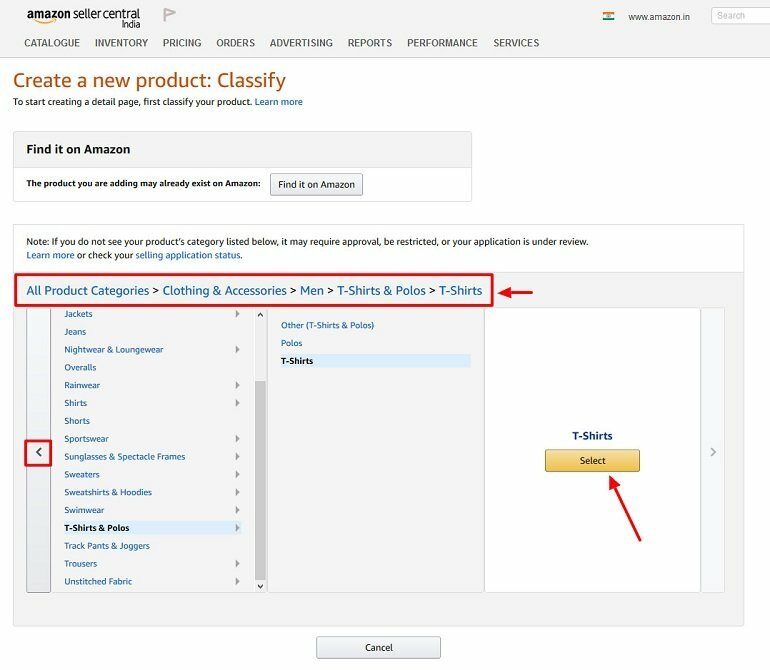 This is the normal turn around time to make listing live on Amazon India. A final product listing page will look something like this in the image below.